9ct Gold Star Diopside And Diamond Ring. 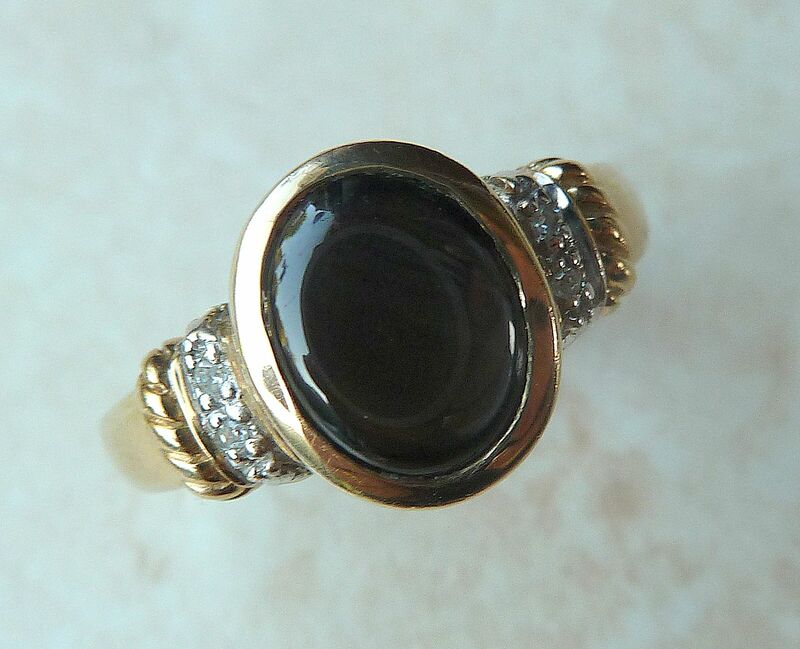 9ct gold, star diopside and diamond ring, with large diopside cabochon. 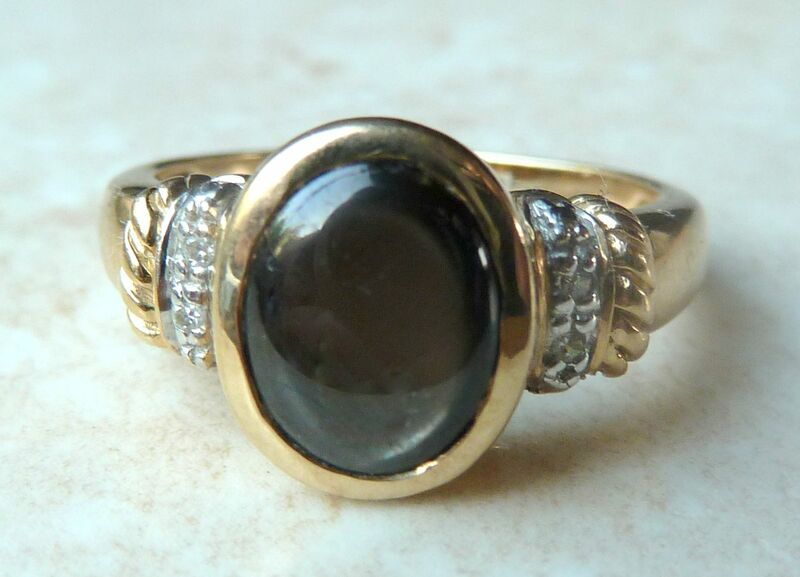 UK size N.
9ct gold, star diopside and diamond ring. Featuring a centrally set, oval shaped star diopside cabochon, with single cut diamond line sides to its rope twist shoulders. 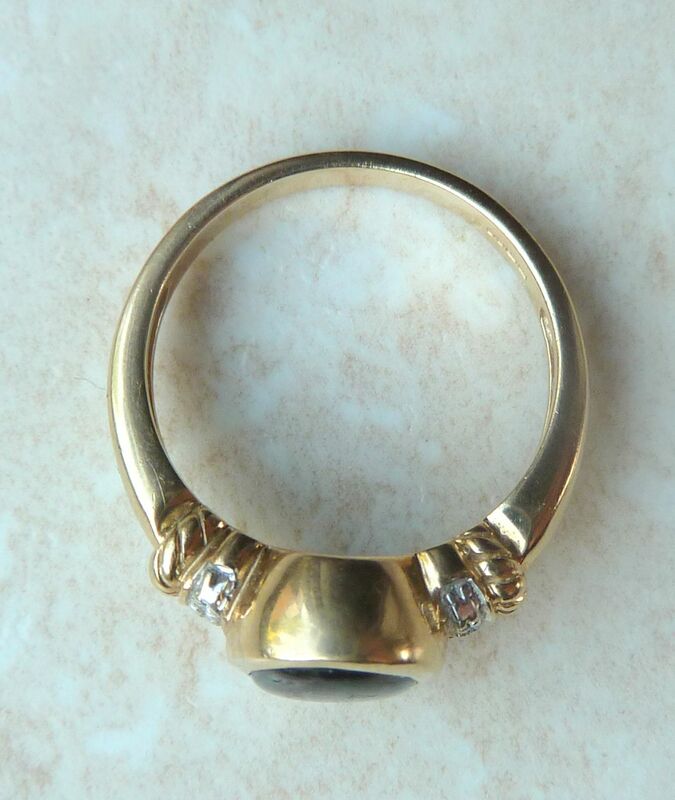 The ring is Hallmarked for 9ct gold, Birmingham, 2007 with the makers mark DK. The ring is a UK Size N, US size 7. Ring Size UK N , US 7. 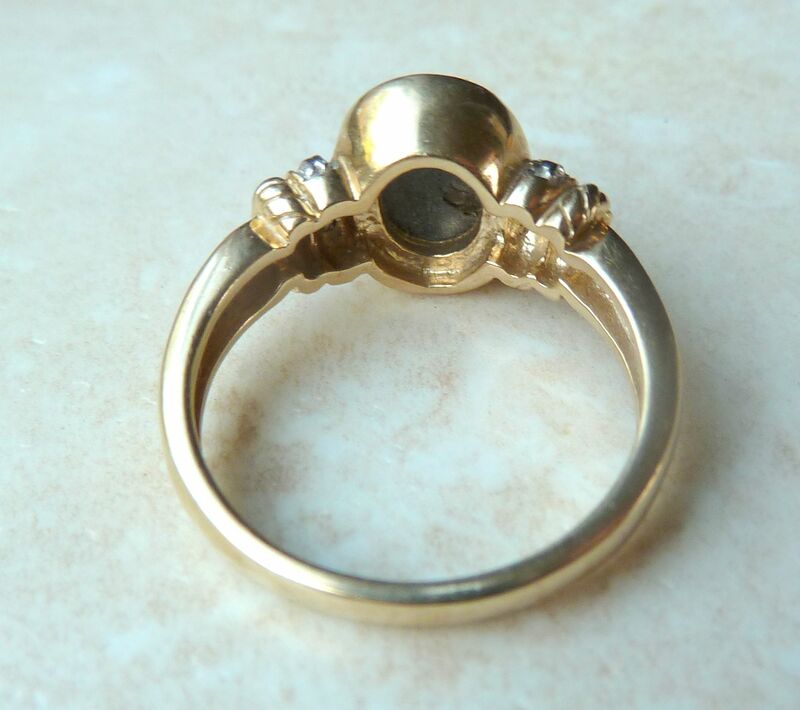 9ct gold, diamond and star diopside, estimated diamond weight less than 0.05 ct.
Hallmarked for Birmingham 9ct gold, 2007 to the inner band of the ring, with makers mark DK. Very good condition, very minor wear in keeping with age. Diopside produces star to surface upon angling in direct sunlight. 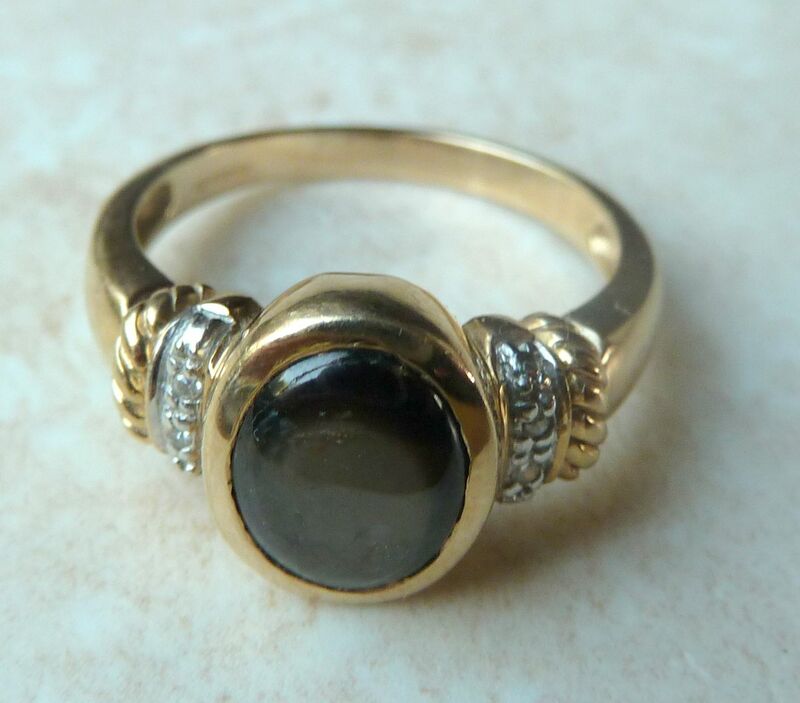 A stunning, modern 9ct gold, star diopside and diamond ring. Vintage 9ct white gold and kyanite pendant and 9ct white gold trace link chain necklace.